Celebrate 'Action Comics' 1000 with sales, local parties, and Google Talks – AiPT! DC Comics is pulling out all the stops for this week’s historic Action Comics #1,000 and it started with Action Comics: 80 Years of Superman Deluxe Edition last week. This week, on top of sweet giveaways, DC Comics is also showcasing a special Superman talk with artists Paul Dini, Dan Jurgens, Brian Michael Bendis, and Marv Wolfman. There are also planned celebrations at local comic shops across the nation. No comic has ever reached 1,000 issues so it’s nice to see DC Comics taking this monumental issue seriously. BURBANK, CA – (April 17, 2018) – Eighty years after ACTION COMICS #1 first introduced the world to Superman and launched the entire superhero genre, fans, booksellers and local comic shops are all preparing to celebrate tomorrow’s release of the milestone ACTION COMICS #1000 periodical and ACTION COMICS: 80 YEARS OF SUPERMAN hardcover from DC. ACTION COMICS #1000 is an 80-page, $7.99 blockbuster available at comic retailers and digitally on Wednesday, April 18. With more than 500,000 copies pre-ordered by retailers, it’s expected to be one of the biggest comic books of the year. This one-of-a-kind comic book is a must-have for any fan of comics, entertainment or superheroes, with a collection of feature stories by Brian Michael Bendis (in his first published work for DC) with art by Jim Lee, current ACTION COMICS writer Dan Jurgens with Norm Rapmund and the SUPERMAN team of writer Peter J. Tomasi and artist Patrick Gleason. A host of comic book and literary talent have also contributed bonus stories to this comic, including legendary Superman movie director Richard Donner and The New York Times bestselling writer Geoff Johns with art by Olivier Coipel, Brad Meltzer with John Cassaday and Laura Martin, Tom King with Clay Mann and Jordie Bellaire and more, plus a story by longtime DC writer Marv Wolfman based on previously unpublished art from iconic Silver Age Superman artist Curt Swan. ACTION COMICS: 80 YEARS OF SUPERMAN is available now at all major book retailers for $29.99. This 384- page commemorative hardcover book revisits stories from across eight decades of ACTION COMICS, featuring the debuts of not just the Man of Tomorrow, but also Supergirl, Brainiac, the Fortress of Solitude and more. In addition to the unpublished story by Jerry Siegel and the Joe Shuster Studio, the collection features a foreword by Laura Siegel Larson, the daughter of co-creator Jerry Siegel, in addition to series of essays and iconic Superman stories from literary luminaries like Jules Feiffer, Larry Tye, Gene Luen Yang and others, all edited by former DC Publisher Paul Levitz. 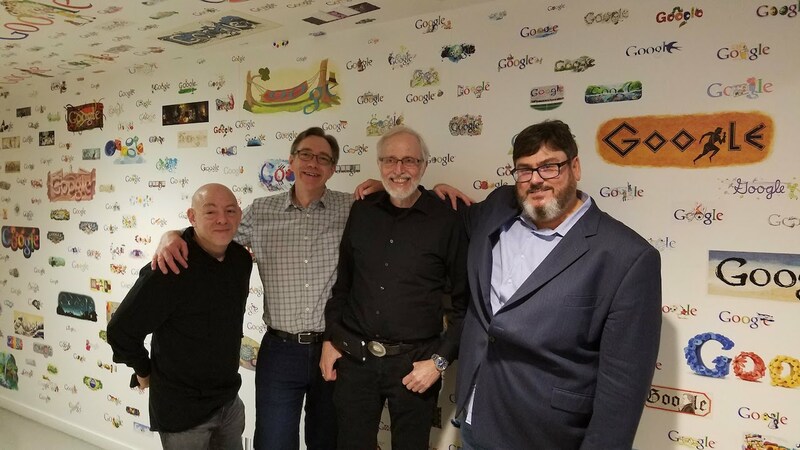 Google recently hosted four top comic book writers and artists, Paul Dini, Dan Jurgens, Brian Michael Bendis and Marv Wolfman as part of their “Talks at Google” series to discuss some of the most notable moments in Superman’s 80-year history and what the future holds for the timeless character. Hear first-hand from Wolfman about the unpublished story he saved from the incinerator as a teenager while on a tour of the DC offices in New York. This story, written by Superman co-creator Jerry Siegel, with art from the Joe Shuster Studio, will be published for the first time ever in ACTION COMICS: 80 YEARS OF SUPERMAN. The talk is available for viewing here. As part of the 80 years of Superman celebration, DC is offering two super digital sales. The “Road to Action #1000” sale features hundreds of ACTION COMICS issues and 13 e-books, including the first appearance of Supergirl (ACTION COMICS #252), as well as Clark Kent’s reveal of his true identity to Lois Lane (ACTION COMICS #662). Another SUPER sale is available with 143 e-books featuring Superman and the Super-family including THE DEATH OF SUPERMAN, SUPERMAN: RED SON, SUPERGIRL VOL. 1: LAST DAUGHTER OF KRYPTON, SUPER SONS VOL. 1: WHEN I GROW UP and more starting at just $5.99. Both sales are currently available on digital retailers, including ComiXology and Google Play, until April 23. Fans can take part in the celebration around ACTION COMICS #1000 right in their hometown. Local comic book shops have planned midnight release parties, signings with members of Superman’s past, present and future writers and artists to mark the momentous occasion. Snapchat users will be able to turn themselves into the Man of Steel with a special filter that applies the Superman suit and hair (including his trademark “spit curl”) for photos. In addition, the super filter gives everyone the power of Superman’s heat-vision. For download and installation details, check out the Snapchat website.